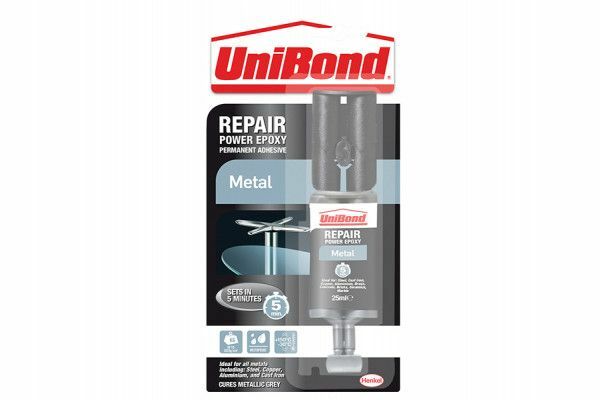 Unibond Repair Metal is a reactive, fast-setting two-component, non-shrinking, non-expanding epoxy-based adhesive supplied as a twin chamber syringe. 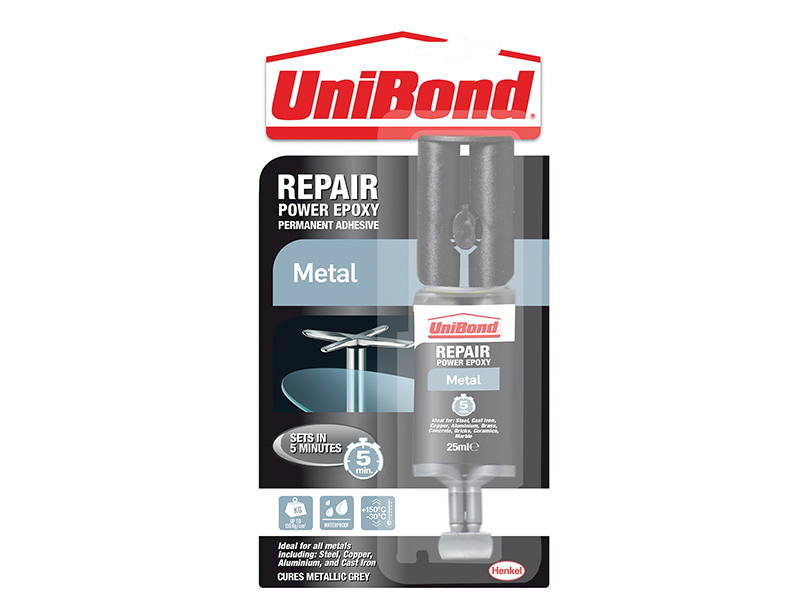 Ideal for strong bonding, fixing and replacing of metals/stone such as steel, cast iron, copper, aluminium, brass, concrete, bricks, ceramics and marble. 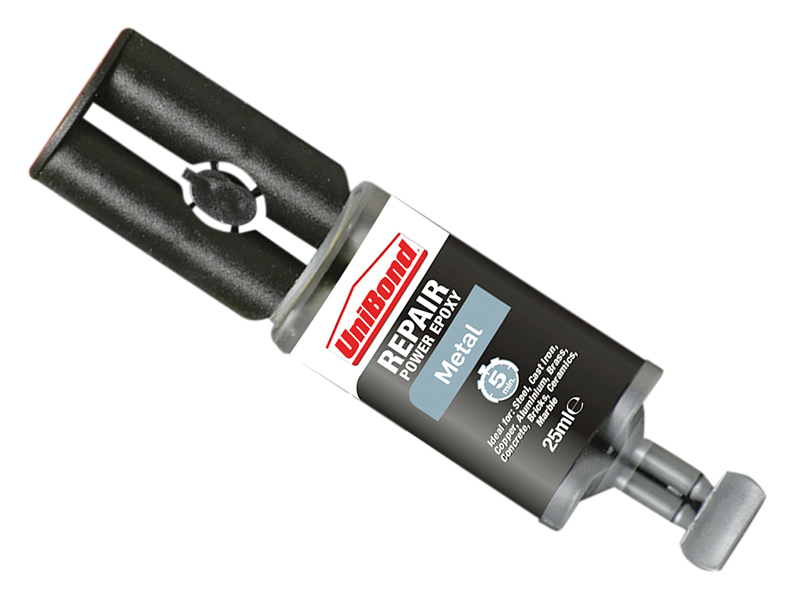 Also suitable for bonding most metals/stone to other common surfaces such as wood, leather, metal, glass, ceramics and most plastics. 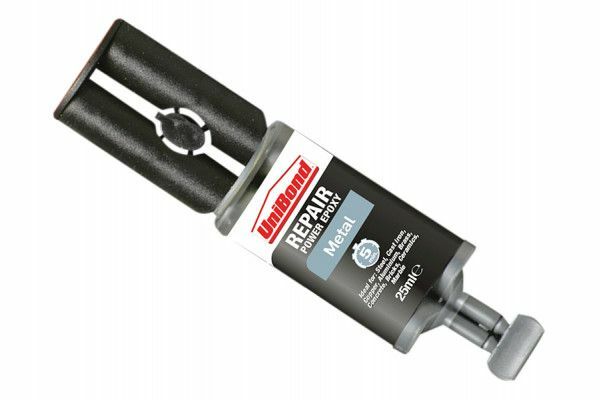 (NB: Not suitable for bonding polypropylene (PP), polyethylene (PE) and PTFE or for repairing items that will be in direct contact with food or drink). Sets in 5 minutes, with an ultimate strength up to 130Kg/cm2. Metallic grey in colour when set. Can be sanded, painted or drilled once set. It is heat resistant between -30° C and 150° C, water, oil and common solvent resistant and will withstand rough handling. For interior and exterior use.